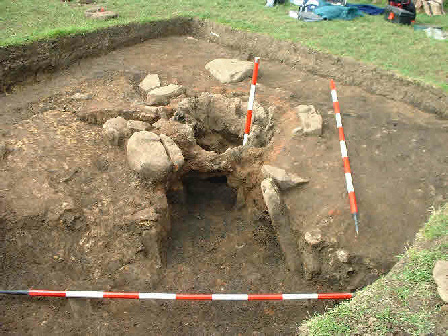 Four furnaces dating to this period have been excavated. The furnaces are estimated to have been 3m high from tap channel to furnace top, and water-powered. The furnaces produced cast iron. The landscape model proposed is that a furnace operated intensely for a few months in a year The following year the smelters built a new furnace at another location. Thus the furnace site migrated around the valley returning to the first site perhaps some 10-15 years later by which time the local woodland would have regenerated to produce the charcoal for the smelt.